Some days your best attempts at layering don’t keep the cold out. The list of things that can get me to willingly stand in a river when the air temps are in the 40s is pretty short. The rush of your indicator shooting upstream through the foam line is on that short list. 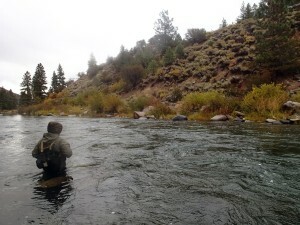 Got out with Matt Koles (pictured below) on the Truckee and what started slow for both of us turned into a decent day. One of the several reasons I love fly fishing is that there are an endless number of firsts. 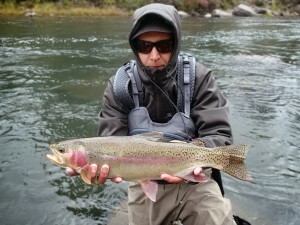 After a slow morning, I had something heavy take a midge in heavy water moving about the same pace you walk when you’re checking the mailbox. The take was the only pretty thing that happened with this fish. After the take, my ghetto-fabulous, only useful for dry-land instruction, Fisher Price, piece of crap reel disassembled itself mid-fight and fell into several feet of water under the boulder I was standing on. By some miracle, the fish paused from sprinting, giving me enough time to collapse into the water, clumsily yank the reel out of the submerged rocks, stand up, reassemble the reel, and continue the fight. Another first. Ugly. Real ugly. Some days you put the right flies in the right slots at the right time of day and the river doesn’t tip its hat in your direction. Other days, you’re a hot mess discovering new ways to screw things up and you still get something you don’t deserve. Grace. 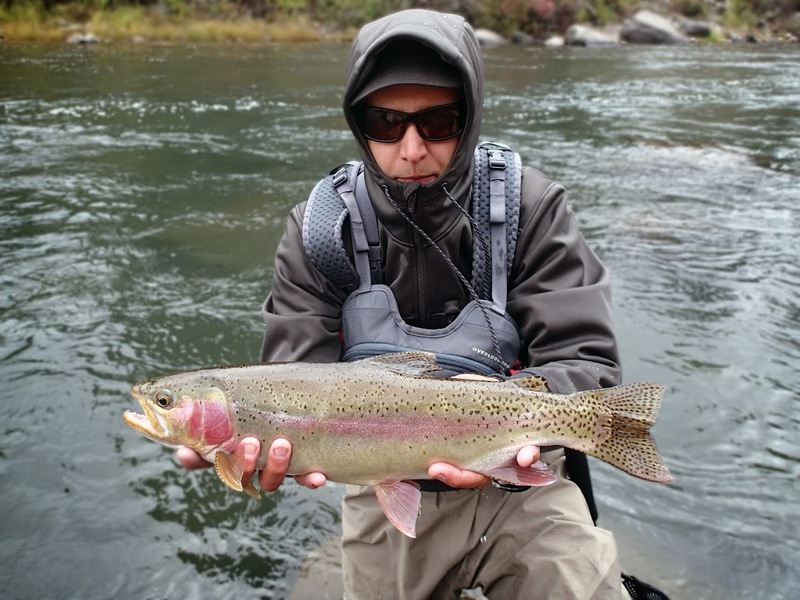 There are way more important things in life that fishing, but I am always surprised how much you can learn about those other things with a flyrod in your hands. Good fishing with you briefly today, let’s do it again. Hope you stuck some after we parted. Shoot me a text – five 3 o 4 one dos 2 cinco cinco tres. I’ve had cheap reels explode on me too.. Can’t remember the results, but I do remember hand stripping in a brown a long time ago cause I couldn’t get the reel. Another time in the same era I broke my fly line just before the backing and had my buddy cast and get his streamer tangled on the zipping chunk of Rio and crank it in. Those are the glory times of improvisation.